Below: P. 25. Tampax expands overseas and at home. 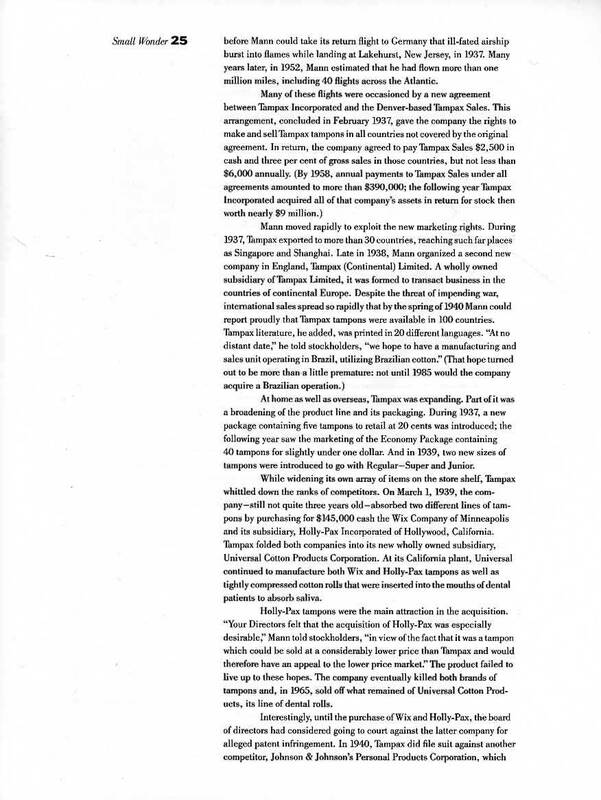 Tampax buys its competitors Wix and Holly-Pax tampons in 1939.